A: You heard, The Unthanks. Who are they, then? Two sisters from Northumberland, Rachel and Becky Unthank plus partners and semi-permanent band members. Any good ? I say so, but don't just take my word for it. Style ? 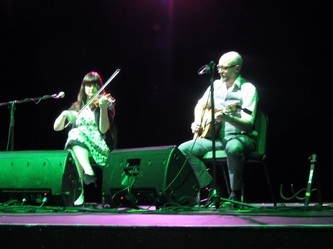 Traditional English Folk, with a mix of Robert Wyatt and Elvis Costello thrown in. I guess not to everyone's taste (some people that I have deep respect for have described some songs as sounding like a maudling wake) but they are very good at what they do. I always think that there is a little breathy-ness in their vocals which I like. The sisters themselves have said that they do sad songs "very well". As with most folk music, there is a story behind most of the songs - "The Testimony of Patience Kershaw" is based on the testimony given by a young girl to the Ashley Mine Commission in 1841-1842. This lead to children and and women being forbidden to work below ground. "Down The Yard" a track from their brilliant album "Songs From The Shipyards" which formed the soundtrack to a film showing the history of the decline of the Tyneside Dockyards - commissioned by the Port of Tyne Authority. The Unthanks toured showing the old film footage and singing live - saw this at the Purcell Rooms on the Southbank. It was very moving. Also featured was a cover of Elvis Costello's "Shipbuilding" as was the fabulous "Black Trade", about the muckier jobs in the shipyard. I wish that the film was still available online, it was on space.org until that trial was ended in October 2013. As far as I can tell, it has not been released on DVD. 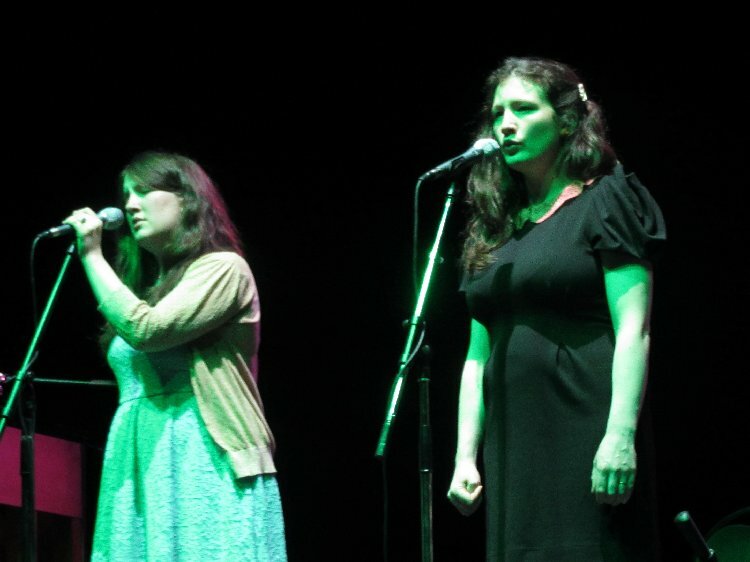 I first saw the Unthanks on BBC4's Folk at Christmas show a few years back. I picked up a couple of albums, and have seen them at the Purcell Room on the South Bank, at St James Church in Piccadilly and also at the Harlequin in Redhill. Shortly after the release of their beautiful album, "Mount The Air", I saw a brilliant gig at London's Roundhouse.